Lewis Hamilton: I’m so grateful for all the support that we have here. It’s quite an emotional qualifying for me, because it’s the last time I’m going to be qualifying in this car. I know you guys watch it, but the emotional rollercoaster I’ve gone through with this car... I’m probably the closest to this car than I’ve been with any car, you know, emotionally attached. It’s not always been easy; it’s been a struggle with here. But it has been a real privilege to work with her this year and I’m just so grateful to the team, to everyone for putting it together, to my guys, these mechanics who have been me for what is it, the last three years or whatever it may be, for their diligence, the guys back at the factory, I’m really just so grateful for everyone. And today it was just so much fun. To go out there and be able to express yourself and to push the car the way you want, there’s no better feeling. And to come back and see the reception from the fans – I really of appreciate it. Q: You obviously have an affinity with this car. Will you get to keep one at the end of the season or do they go into the museum? Do you keep a collection? LH: That’s confidential. I’d have to kill you if I told you. You know what, I’m just happy… I think this car will be in the history museum of Mercedes-Benz in Stuttgart on the road of evolution where they will have all the greats that have driven with them in the past. I’ll get to see this whenever I want when I go to Germany. I haven’t got enough space for this in my house, anyway, it wouldn’t fit in my apartment. Q: Very quickly, of all the poles this year, how did that rate? We saw you, on the second last run, you had a little bit of movement from the car, but on that final lap were you happy, or do you feel you left a little bit behind? LH: No, honestly there was… I never say there is a perfect lap. The first lap wasn’t spectacular. There were some excursions and a bit of movement on the rear end. That last one, it started off quite calm and then just got more and more aggressive as I went through. And the last sector, as you see, the last sector was the killer for me. That’s where I really was able to make a difference. So I actually came around, I think, four tenths up. That’s not easy to do from one lap to another, so I’m pretty grateful for that. Valtteri did a great job and I know Seb was pushing really hard, so it’s been a real privilege working with, and racing against, these guys this year. Q: Congratulations on your pole position? Valtteri, you pushed him hard, only a couple of tenths in the end in it. Frustrated or happy to start the last grand prix of the season from the front row? Valtteri Bottas: Well, for sure I was aiming for the pole. I had a good result here last year but couldn't repeat that. Personally, P2 wasn’t what I was expecting but for us, even though we have secured the Constructors’ title, we can still perform at a very high level as a team. Being one-two for the final race is good. Q: You know you were actually up on Lewis at the end of the second sector, so it was that final sector. Where was the time lost in that? VB: Yeah, I think I lost a little bit of time in Turn 17-18, it’s just very difficult to get it perfectly right. But he was performing well. It was tough to beat his time. There was a possibility for that but he did a better job on the lap. Q: Well done. Sebastian, you’re still smiling, so that’s good. In the end the Mercedes was just too strong a package on this race track. Did you expect it to be a little bit closer or did you have the signs already in free practice? Sebastian Vettel: I don’t know, to be honest. I enjoyed the session. In Q1 I thought it was rally tight, so I thought maybe we would have a word to say. In Q2 I thought Lewis put a really strong lap in on the harder tyres, and I thought ‘whoa, this is going to be difficult’. But then the first run in Q3 I rally had a good lap and it was very close again, but they must have had still some push in for the last run. I did improve, I think the track ramped up, but not enough to be a threat. But for tomorrow I’m quite confident and I think it is going to be a long race, so yeah, it’s going to be a fun race. 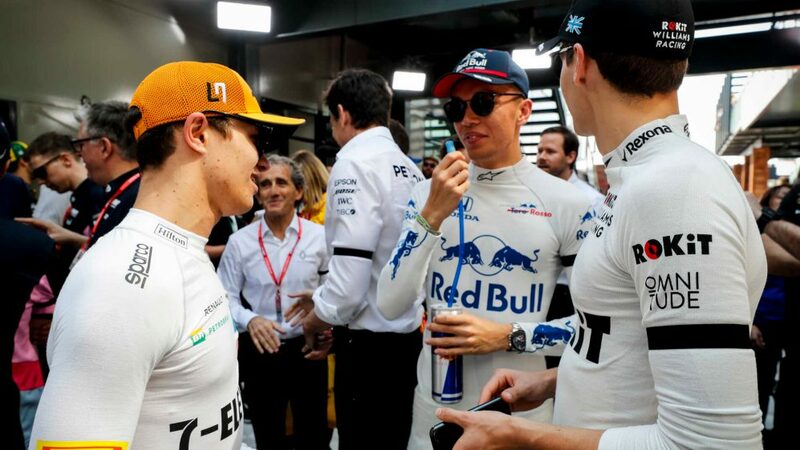 Q: It was great when I was talking with Valtteri, I could see you were talking with Lewis, Lewis has just gone and shaken hands with your mechanics – it’s been a tough rivalry but there has been respect throughout? SV: Yeah, obviously one thing happens on track but off track I don’t see the reason why you can’t talk to each other or joke with each other. I enjoyed it, obviously it didn’t go my way; I guess he enjoyed it a little but more. Looking forward to getting in the car for the last time this year and challenging these guys and yeah, we’ll give it everything we have. 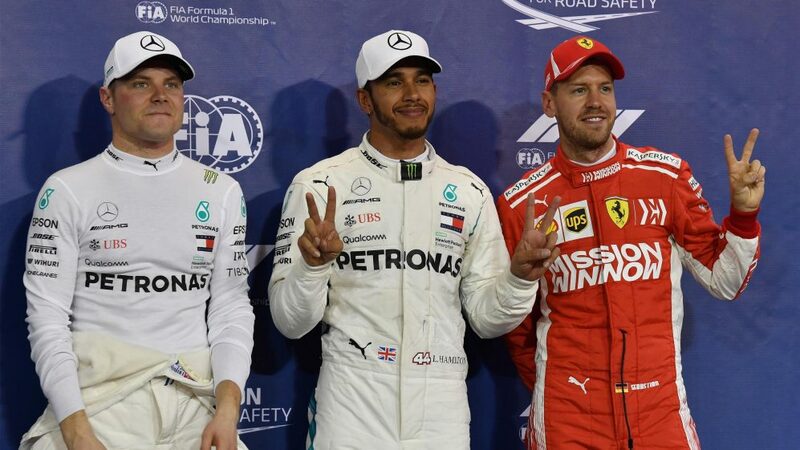 Q: Starting on pole position for the fourth time here in Abu Dhabi, the 11th pole of 2018, the 83rd pole of his career and his 52nd pole in the last 100 races, Lewis Hamilton. Many congratulations Lewis, how did that one stack up with that long list I’ve just read out? LH: Wow! It was a great qualifying session. It was a lot of fun. Obviously, going into it, feeling relatively emotional being that I was going to be stepping into this car for qualifying. It’s just been such a journey this year. So many things have happened, so many trials and tribulations along the way and it’s been a real privilege working with these guys. The actually qualifying session went quite smoothly. I think, collectively, as a team, we’ve done a really good job this weekend in getting the car into the right window – and obviously it was still quite close at the end – but the difficult thing was trying to improve on… it’s always difficult to improve on your last lap, particularly because your first lap, your banker lap, is pretty good but I managed to increase the gap on that section, knowing these guys would also do the same. I saw Valtteri was obviously quite close. 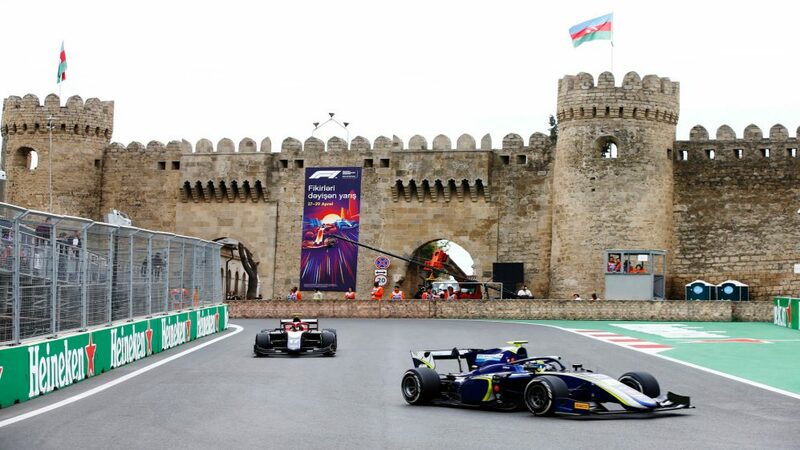 He was improving throughout the qualifying session, so he did a great job – but what a great way to end the season, with a one-two qualifying session. So really proud of everyone at Mercedes and, those numbers that you mentioned, I couldn’t have done that without everyone at Mercedes. The support, since I was 13, has been incredible. So, just proud to be a part of the machine. Lewis Hamilton, Mercedes-AMG F1 W09 EQ Power+ celebrates in Parc Ferme at Formula One World Championship, Rd21, Abu Dhabi Grand Prix, Qualifying, Yas Marina Circuit, Abu Dhabi, UAE, Saturday 24 November 2018. Valtteri Bottas, Mercedes AMG F1 and Lewis Hamilton, Mercedes AMG F1 celebrate in Parc Ferme at Formula One World Championship, Rd21, Abu Dhabi Grand Prix, Qualifying, Yas Marina Circuit, Abu Dhabi, UAE, Saturday 24 November 2018. Sebastian Vettel, Ferrari celebrates in Parc Ferme at Formula One World Championship, Rd21, Abu Dhabi Grand Prix, Qualifying, Yas Marina Circuit, Abu Dhabi, UAE, Saturday 24 November 2018. Q: Valtteri, coming on to you. Just quite simply, where do you feel it slipped away, the time? VB: I think first of all, Lewis had quite a nice lap, so congrats for that. My first run, I could feel that there was plenty I could improve, and the gap was smaller between us in the first run. Second run, I think there was definitely some track improvement. We both managed to find some time but he just got a more complete lap in the end. I think what maybe hurt me a little bit was that there was a couple of runs in the qualifying that I didn’t really get a good lap out of the ultra tyre in Q2, some other runs, I really struggled with some things on the car. But then, yeah, happy to have decent runs in Q3. That way we could secure a well-earned one-two for the team. Q: Sebastian, how surprised are you by the pace of the Mercedes around here? SV: Not surprised. I think they looked very competitive all weekend, so, I don’t know, qualifying, it’s been a bit up and down. Q1 looked very good for us. Q2 then probably was realistic. I think Lewis had a very strong lap on the ultrasoft. So, I think we tried everything, and gave it everything we had. After the first run didn’t look stupid at all. Was very close, half-a-tenth, I thought, was in reach but then the second run, obviously I crossed the line and… yeah… I was quite happy with the lap but it wasn’t enough and obviously dropped back to third. I guess there first run was probably not as strong as ours. The track did improve but it’s a long lap, so there’s a lot of lap-time to be found if everything works out. As I said, I was happy with our session. I think happy that we were able to get a strong lap in in Q2, which is important for tomorrow’s race. Would have liked to have been in the front row. It’s not the case but yeah, I said to the guys after the qualifying that we will fight as hard as we can tomorrow. I think, come race day, anything can happen. We’ve got good speeds in the straights. We are lacking a little bit of downforce in the last sector, I guess, so let’s see what we can do – but surely it’s going to be a long race. Q: (Scott Mitchell – Autosport) Lewis, with pole and victory and Brazil and pole here, it’s very good form after wrapping up the title. When you won the title early in 2015 and 2017 you didn’t have that afterwards. Was it important for you at all to maintain that level after winning the title this year? And is anything different, compared to previous seasons to allow you to stay at that level? LH: Older. Wiser! I don’t know. I don’t think it ‘cos I couldn’t do it in the past, just didn’t do the job. I think this year it was being in a different place in my life. I do want to continue to push the limits, push the boundaries and I wanted to finish the season on a solid high if I can. So that I can really continue to keep that foundation as strong as it has been this year so I can use that to start on next year. I think in the past it was still good. It was no biggie that I didn’t win after I won the Championship but I’m definitely happy with how it’s going this year and there’s still a long race tomorrow., so still got a lot of work to do but really happy with today. Q: (Christian Menath – Motorsport-Magazin.com) Two questions for you Seb. In Q2, you did the second run on the ultrasoft as well, so did you know you can improve somewhere, was it a big risk for you at that time? And the second one, yesterday, you weren’t that confident for the race pace. Today, you look a bit happier with race pace. Is it just the top speed advantage that makes you more confident for tomorrow? SV: There’s a lot of questions in there! I think the car felt a bit better today. Probably the track came towards us as well. Usually throughout qualifying the track improves and you start to feel happier with the car. So I think we estimated the right direction and were able to follow the trend. I think yesterday we tried everything and obviously for us the hypersoft didn’t last so long, so we were quite confident that it’s not the race tyre, not the tyre we want to start the race on. Other people obviously had the same opinion and I knew in the second run that I had some lap-time to gain. I was held-up a little bit in traffic on the first lap and I knew it will be tight but I really wanted to start on that tyre. That’s why I was able, or was happy to take that risk. Q: (Rene Oudman – RacingNews365.com) Question to all three. The Red Bulls will only start in the third row – but we’ve seen in recent races that their race pace is pretty good. How would you guys rate their chances for tomorrow? LH: Yeah, they’ll be strong tomorrow. They always are in the race. We’ve seen a pattern show over the year where they’re quick in early practice and then, when we get to qualifying, they can’t keep up, or they struggle to keep up with the pace that we end up delivering, and then in the race, they come back. 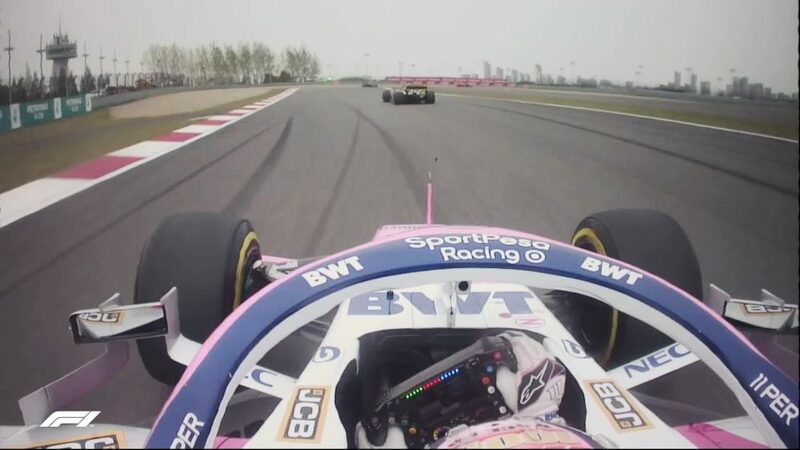 So it’s evident that they’re probably better than all of us at looking after their tyres and operating where they don’t have to manage the same as everyone else, whatever that’s down to, downforce, whatever it may be. 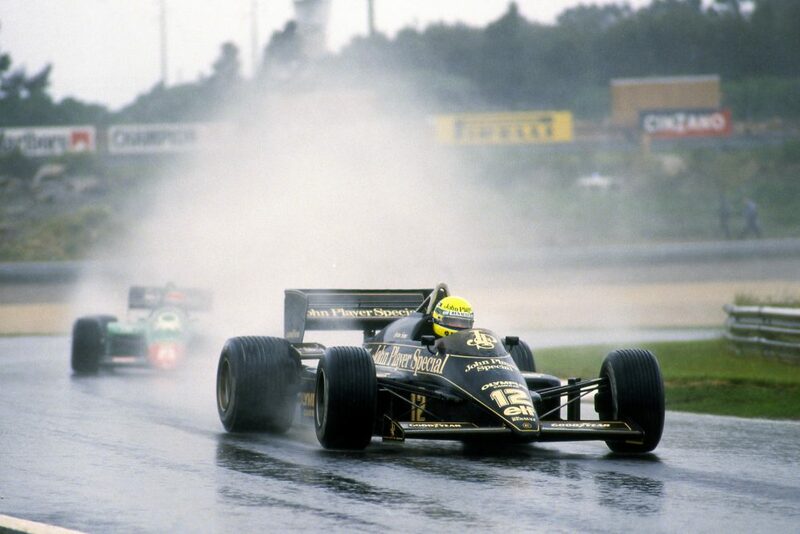 So I’m sure they’ll be strong tomorrow – but it’s not that easy a circuit to overtake. 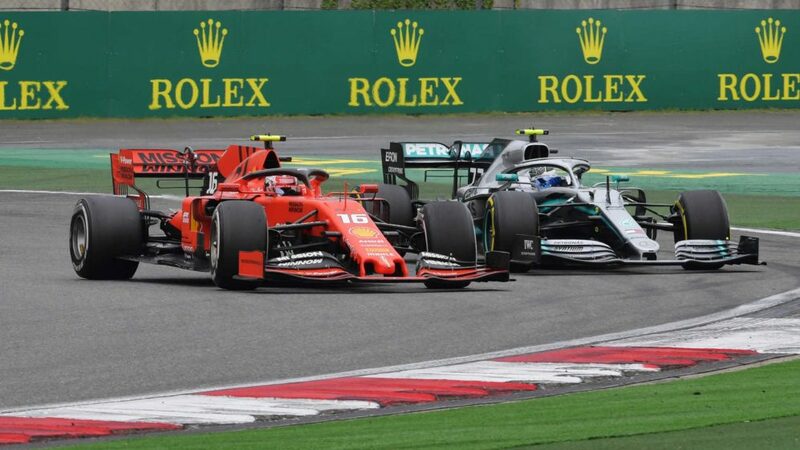 And you know the Ferraris are very strong on the straight, so for them to propel past a Ferrari, I’m sure will not be easy but yeah, you’ve seen them up until now, so I hope they have a strong finish to the year and I hope it’s relatively close between us all. VB: Nothing to add, no. 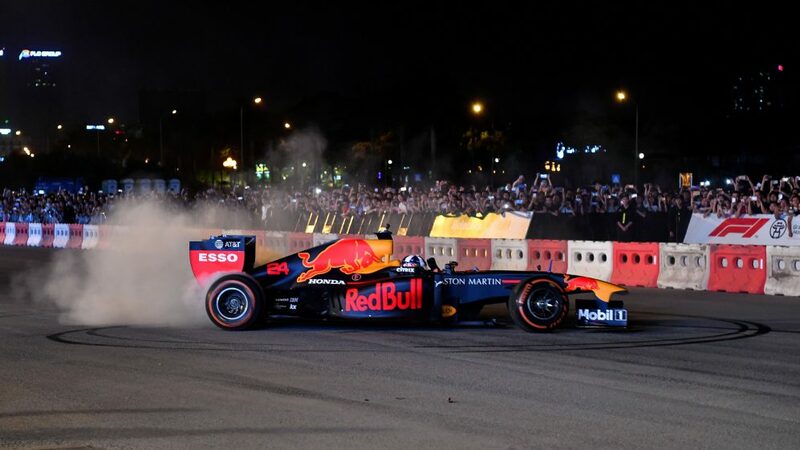 Q: (Ben Hunt – The Sun) Couple of questions; first one’s to Lewis: what is it, 52 poles now in a hundred races; you’ve won 50 races out of 99; phenomenal achievement, what do you put that success down to? Where do you think it’s going to stop and question to the other two, how do you stop him? How do you stop Lewis from steamrollering through these statistics? LH: I put it down to teamwork. I think it’s definitely a little bit difficult for all you and everyone watching to see everything that’s going on in the background but just the other day I was sitting in the office here, I think on Friday, sitting just talking to a couple of individuals who are not usually here but are up-to-date with next year’s car. So we sit and have this in-depth conversation and it’s inspiring… they are so smart, incredibly intelligent and they think on a completely different wavelength to the normal person. 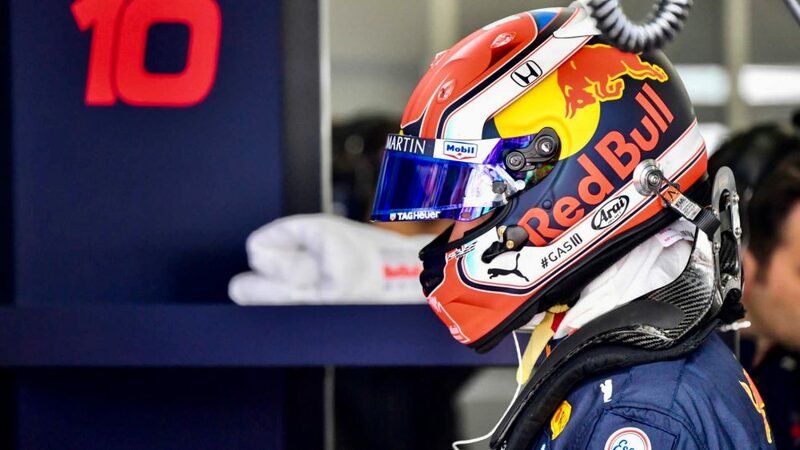 And the things that they have to take into account when building a car and I think over the years I’ve been getting more and more involved in that as I understand it more and try to… You know ultimately I want to make sure, through our debriefs, they’ve not misinterpreted something. For example, I know what I need in this car to make it faster and I’ve got to make sure that I communicate that with them so that they go and build and find that performance. And for next year’s car, I have an idea, for example, where the weak spot will be with these new rule changes as do they, so just working closely, communication and we’re all of us constantly working so closely together, really elevating each other and I think this year, if you look at the team’s performance on the race weekend, that our mechanics, our engineers, strategists, we’ve all raised our game. We’ve been better than… you know it’s never ever been perfect, neither of us as drivers, but collectively, as a team, I think we’ve really continued to elevate ourselves which is again, inspiring for me and that encourages me to go out there and not want to let them down. 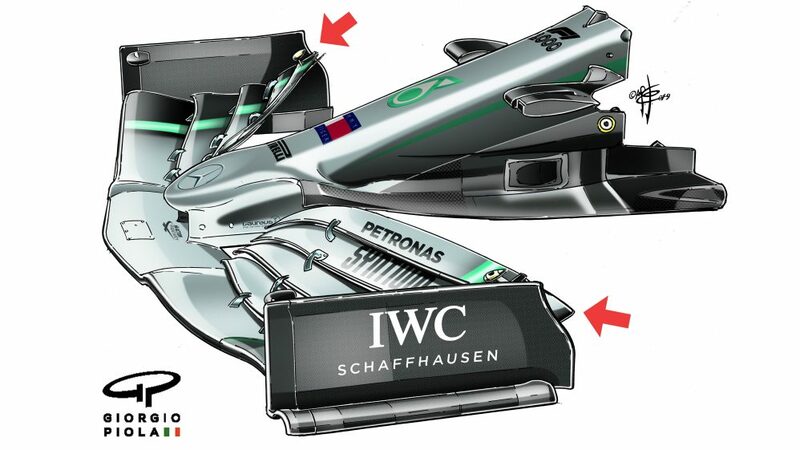 So I’m confident; as long as Mercedes don’t change their approach, don’t change their desire to win… some teams decide to veer off and do some other business venture and lose a bit of focus on the main ultimate goal; as long as they don’t do that, I believe that we’ll be able to stay on this path and continue to fight at the top. But Ferrari have been doing an amazing job this year so we cannot take anything for granted, we’ve got to keep the hammer down, keep pushing as they will be. See how close they are right now and look at Valtteri, he’s been driving exceptionally well all year. I know next year again, third year with the team, he will be even quicker so we will have to rediscover new skills for next year. Q: And Valtteri, how are you going to stop him? VB: Obviously Lewis has had great numbers in his career. It is really impressive. I think that happens when you’re enjoying it and you always find new skills from yourself and you’re still hungry to develop. It’s for every sport, individual, it’s the same. For me, my target next year is to be better. My target next week is to be better than this week so I will continue my work with the team together and try to be a better driver. Of course I want to be ahead of him many more times than I’ve been in the last two years but it’s going to be hard work, I know but I’m willing to work hard and like Lewis said, we have a great team around us and the team spirit is amazing so the amount of strength I’m getting from the team has been amazing and that’s going to help me also next year. SV: Well, I think Lewis summed it up fairly well, I think mentioning the word teamwork, I think that’s what it’s about. Obviously what you look at in terms of when you look in qualifying or the race, then obviously we are the ones driving the car and we are alone driving the car and when we cross the line you look at us first but there’s a lot of people behind to make sure that you do cross the line and if they do their job really really well and work together then you have a high chance of finishing higher up. So I think it’s needless to say that Lewis had an incredible run the last five years but I think since the day he joined Formula One until now, to be honest… you mentioned that it’s the fifth consecutive front row lock-out for Mercedes here – did you say that? – so it also proves that they’re doing a really good job as a team. I think for us, it’s not that easy because the challenge to beat such a strong team is difficult but that’s our target. I think we know where we want to go. A lot of work ahead of us, I think a lot of lessons to be learned again this year. Ultimately, I think we have 21 races, with the 21st coming tomorrow and in summary, we haven’t been strong enough this year to take the challenge until the last race, the last lap, so I think we need to look at ourselves. I think we have the people, we have the resources so it’s more getting the maximum out of our package, improving the work inside our team and making sure that we come up with a stronger package, a stronger team for the future. Q: (Heikki Kulta – Turun Sanomat) Valtteri, what do you think? Is tomorrow the last chance to have the first ever Finnish one-two as you two are still in the top teams? 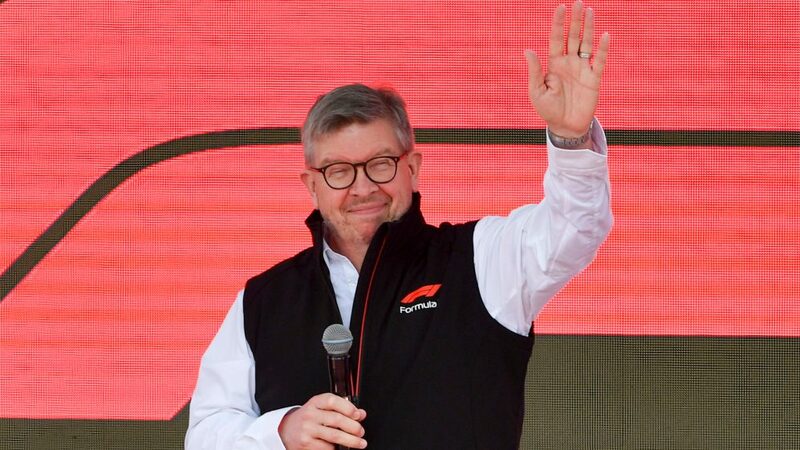 VB: Yeah, for sure it’s… you never know, Sauber might be the best next year. Who knows? I don’t know, time will show, obviously. We’ve seen many many mixed races, conditions in the last few years and it can always happen but I just focus on my race and it can always happen but I just focus on my race, try to win it and then we see. Q: (Scott Mitchell – Autosport) Sebastian, you talked this year about the benefit that Ferrari has found Friday to Saturday with the work that the guys have done on the simulator, working through things back at base. Obviously for next year, both of those main guys, Kvyat and Giovinazzi, step into F1 race seats so need replacing. How important is it to have the right guys on the simulator and do you think that Ferrari have made more of that sort of benefit this season? SV: Personally, I’m not a fan of the simulator because it’s just not fun. But you get the point, it is very important, it is an important tool. Based on our findings last night, we changed the car for today, both of us did and it was better and we were happier. It’s not the first time that this has happened so we’re extremely thankful for the guys, taking in the time because it’s not the nicest job on Friday night, especially when you’re young, but it’s important, it all adds up and again, Lewis summed it up fairly well when he mentioned the word teamwork and that’s what it is. Everybody plays his part and in the end we have the honour to have the steering wheel in our hands and drive the machine that we all try to create and reach out with performance. For next year, it’s true, we take a step but I think we will find people that fit in very well and very quickly so I’m confident we will have a strong team on that front as well next year.